Our primary mission at Visgence is to make the Internet work great for everyone. Our work enables people to access local network and Internet resources faster, safer, and in more ways than ever before. We design and build networking solutions at every level: national data centers, major campuses, last-mile broadband, and small business. Visgence staff have all of the expertise required to integrate your company into today's Internet. 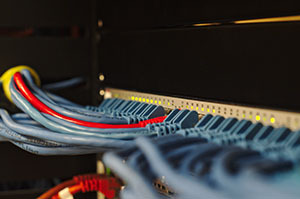 We are experts in mesh networking, high-capacity wireless, data storage and servers, and web application development - all of the things required to bring complex networking projects to life. Contact us or check out our software and hardware portfolios to learn more!